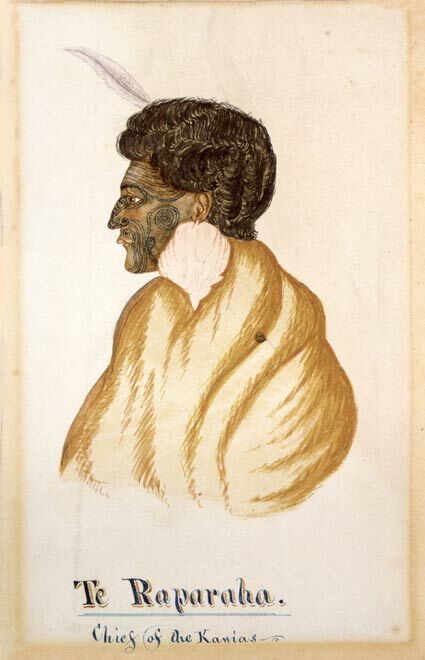 In this 1840s image of Ngāti Toa leader Te Rauparaha, he wears a feather in his hair and a pōhoi (feather-ball earring). Te Rauparaha is famous for the role he played during the musket wars. His brilliance as a general was in bringing together a collective of iwi to fight as allies against common enemies.